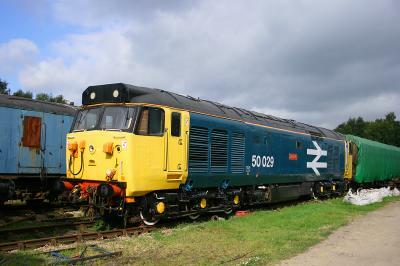 50030 at Rowsley 16th September 2007 Here 50030 Repulse is seen on the 16th September 2007 back in the sidings at Rowsley following the diesel gala. 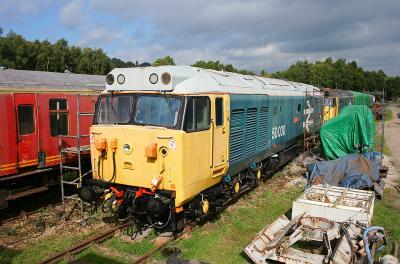 The ex-50008 power unit can be seen at the side of locomotive under the tarpaulin. 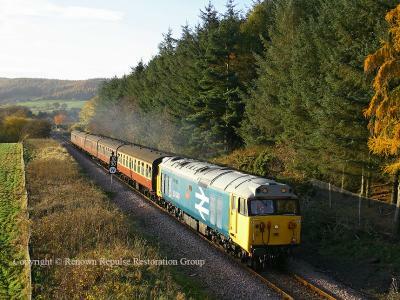 To the left of the image is mark 1 BG 80777 before restoration - this coach was originally purchased for RRRG use but diverted to Peak Rail whose claimed need was greater at the time. 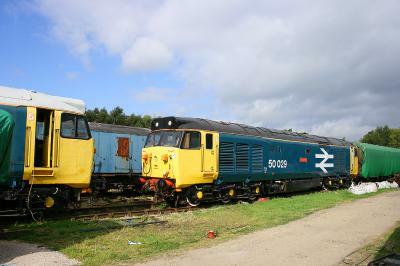 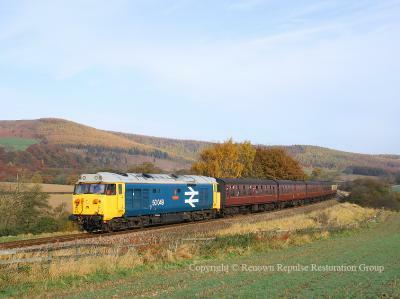 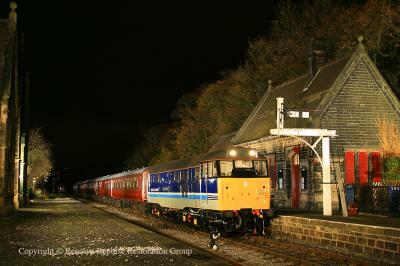 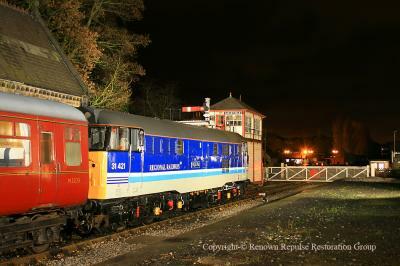 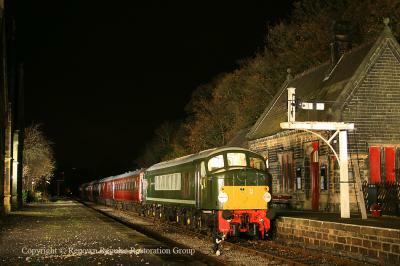 Here 50030 Repulse is seen on the 16th September 2007 back in the sidings at Rowsley following the diesel gala. 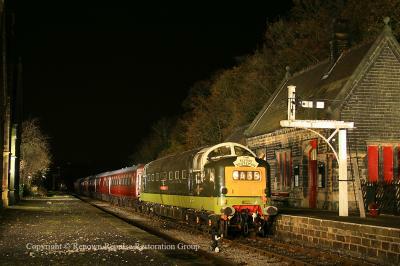 The ex-50008 power unit can be seen at the side of locomotive under the tarpaulin. 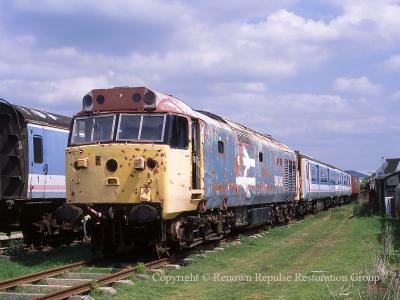 To the left of the image is mark 1 BG 80777 before restoration - this coach was originally purchased for RRRG use but diverted to Peak Rail whose claimed need was greater at the time.